2019 Paris-Roubaix features 257 kilometres that include 29 cobbled sectors spread across 54.5 kilometres. 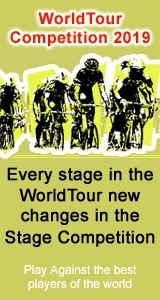 The route is almost a copy of last year’s edition, in which Peter Sagan powered to victory after a long range attack. Paris-Roubaix 2019 (Compiègne – Roubaix 257km) LIVE STREAM: Sunday, 14 April, starts at 11:00am CET (Central Europe), 05:00am U.S. […]The post 2019 Paris-Roubaix LIVE STREAM appeared first on Cycling Today.